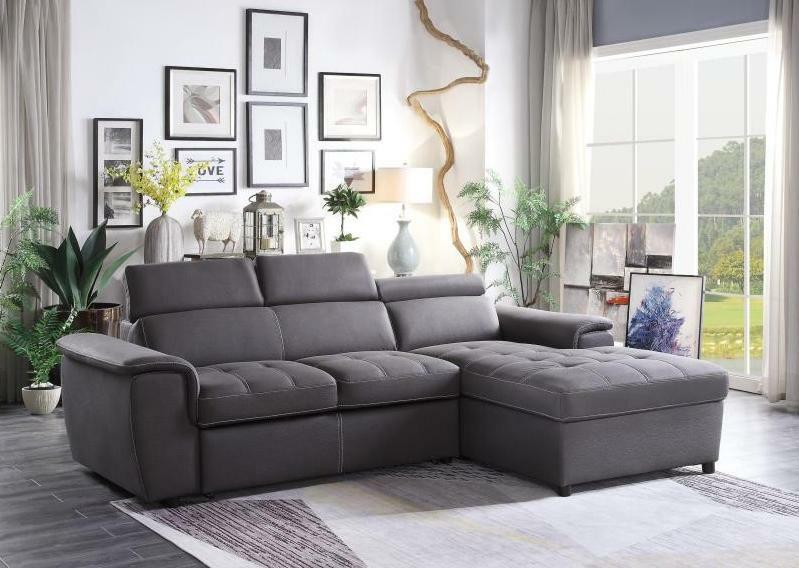 Providing the flexible option for relaxation, sleep and storage, the Ferriday Collection will be a stylish and functional addition to your living room. 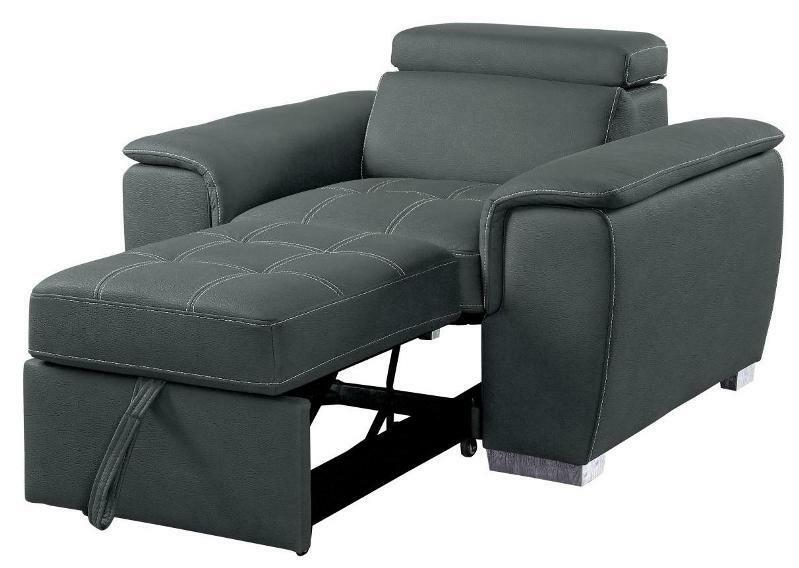 Under seat storage is revealed with the pull of a tab on the end chaise. 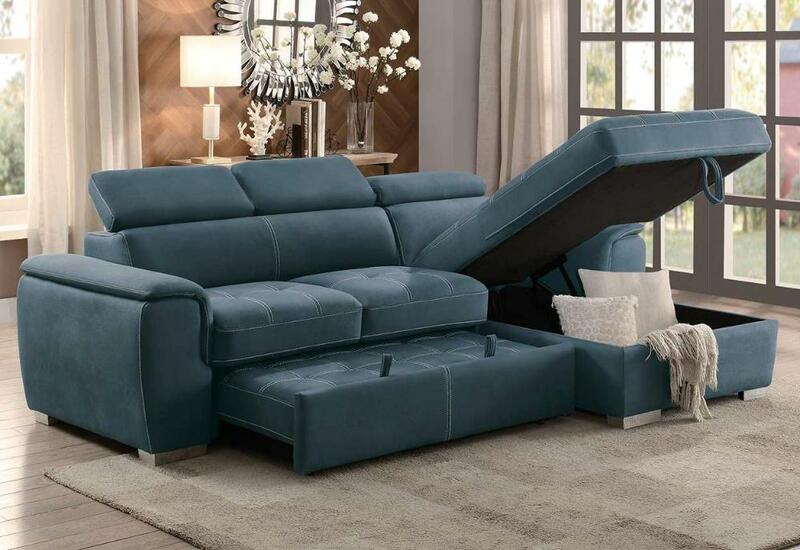 The lower portion of the seating configuration pulls out to reveal a pop up trundle that creates a bed space creating a relaxing environment with minimal effort. 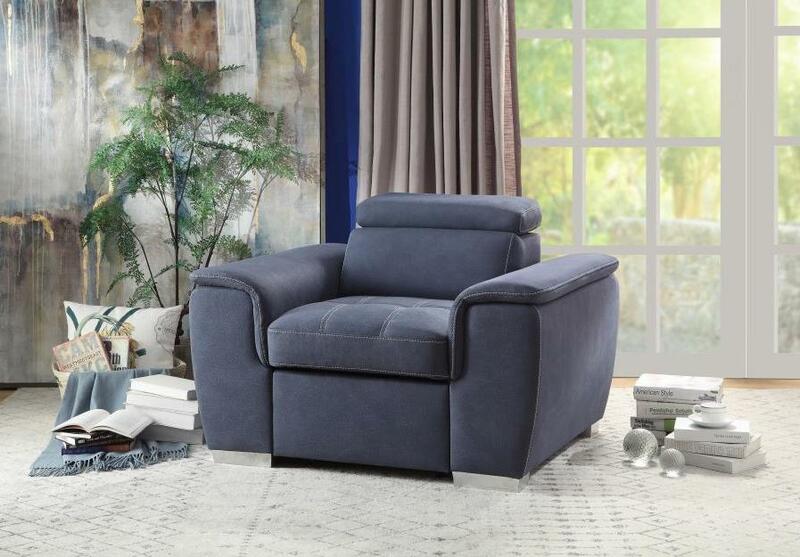 The collection is offered in grey, taupe or blue fabric, each with contrast stitching. 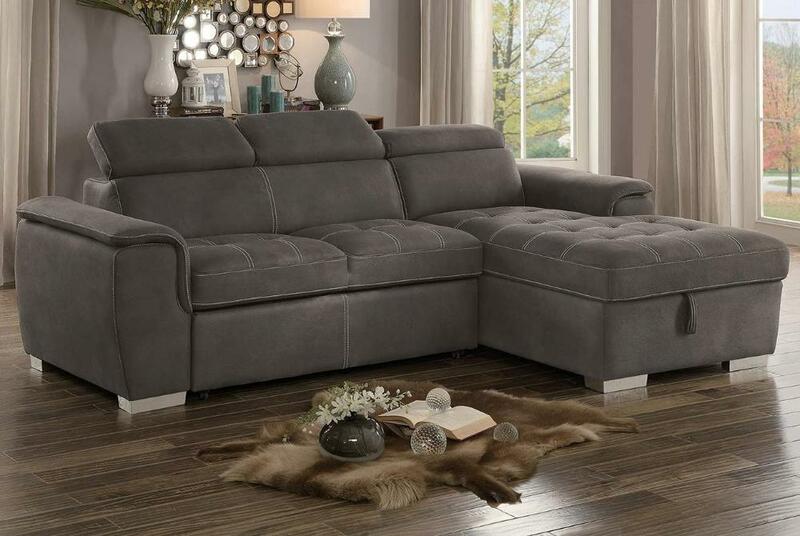 FEATURES: Gray / Taupe / Blue Color ~ Casual / Modern Style ~ Sleep / Storage Convenience ~ 100% Polyester Fabric Cover ~ Contrast Stitching Accents ~ Adjustable Headrests ~ Oversized Low Profile Feet ~ Chair Optional.